As a blogger based near Norwich, it’s always incredibly exciting to hear about blogger events and opportunities that pop up in my local area – as these are very few and far between. 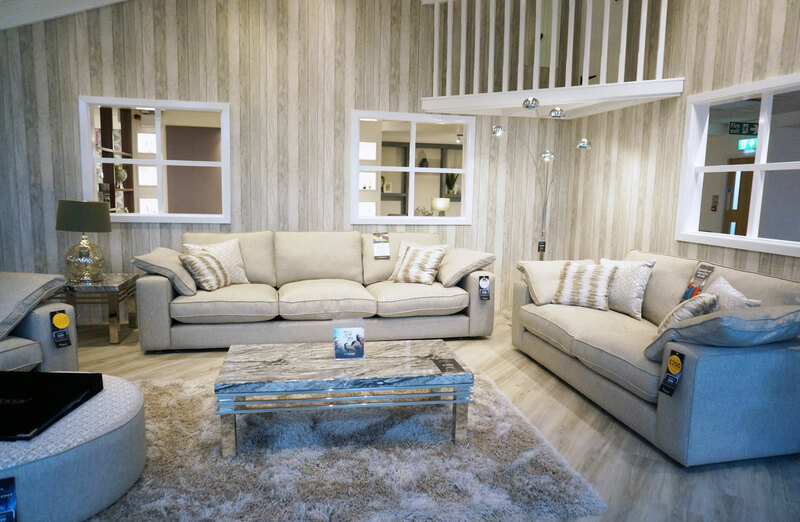 So when I was invited to the opening of the new Sofology store in Norwich, and given the opportunity to choose my favourite sofa set, you can imagine how excited I was! I couldn’t wait to go along and check out their gorgeous bespoke ranges. 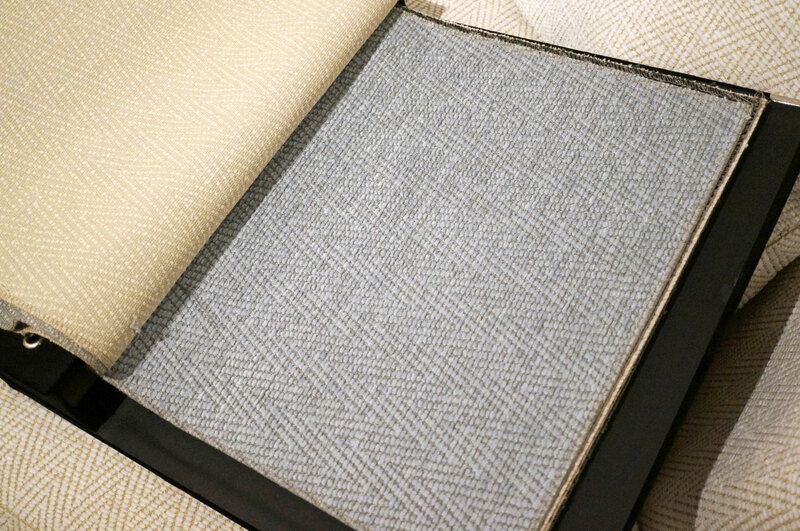 So back to Sofology – a bit about the brand… Their sofas are all handmade, and promise to use only the very best materials available. 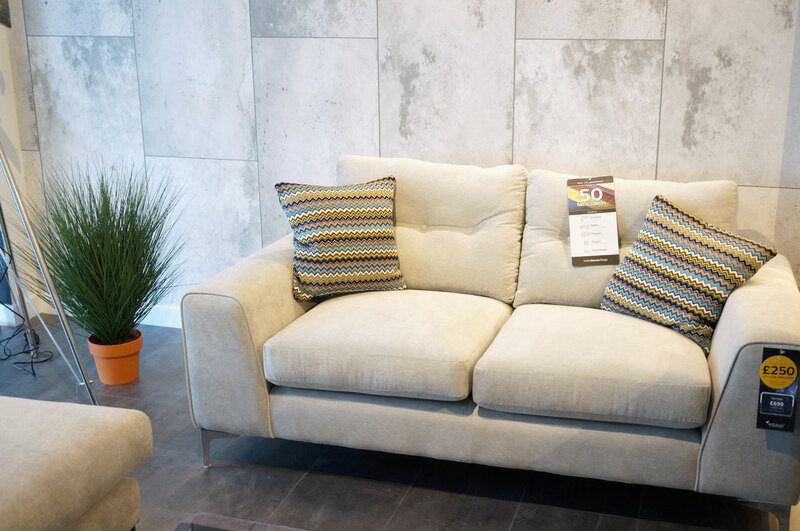 They offer hundreds of different finishes in different colours and textures, as well as fine natural Italian leathers, and hand finished details such as studding, stitching and solid turned feet, so you can have your sofa made exactly how you want it. 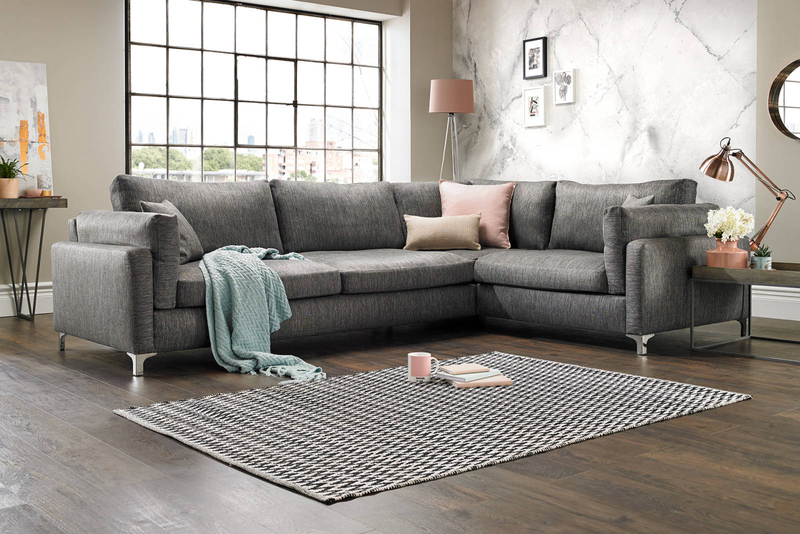 Sofology currently offer over 200 exclusive sofa ranges that you won’t find anywhere else, and each range includes up to 30 different items, including sofas, sofa beds, corner sofas, chairs, footstools and more, making it super easy to find the right combination to fit your needs. Everything is of course safety and quality tested, allowing them to give you a generous 20 year guarantee on every range. What makes Sofology different from other stores though, is there are no ridiculous sales and promotions – you know what I mean, the stores where the products are constantly half price (and nobody has ever seen them at ‘full’ price) – but there’s not messing around here. 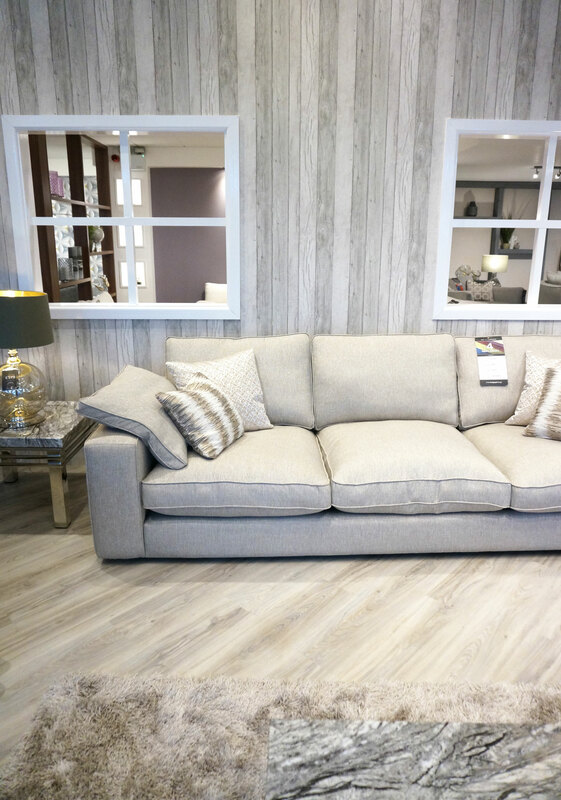 Sofology offer high quality sofas and fantastic service (which I personally experienced) all at a decent, fair price – permanently. Their sales people are very knowledgeable and helpful and it’s also nice to know that they don’t work on commission, so there’s no pressure for them to sell, or for you to purchase. 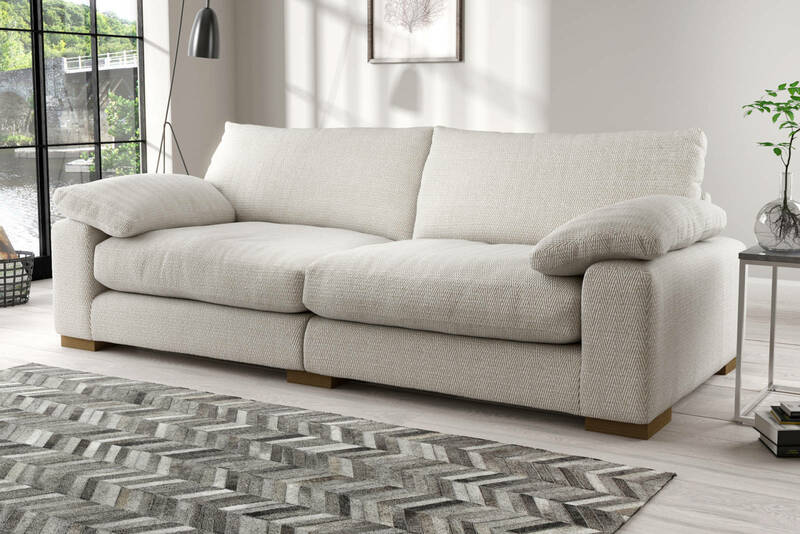 So we initially had a few different ranges in mind – firstly I should mention that we needed a three seater and a two seater, to replace the current old ones we have, and one of them needed to be a sofa bed, as ours is used frequently when we have people stay over. The fact that we needed a sofa bed was helpful in a way as it narrowed down the available options. I quite liked the look of the Illusion range, and the Monarch range, but after a lot of deliberation, we decided to go for the Coco range above. 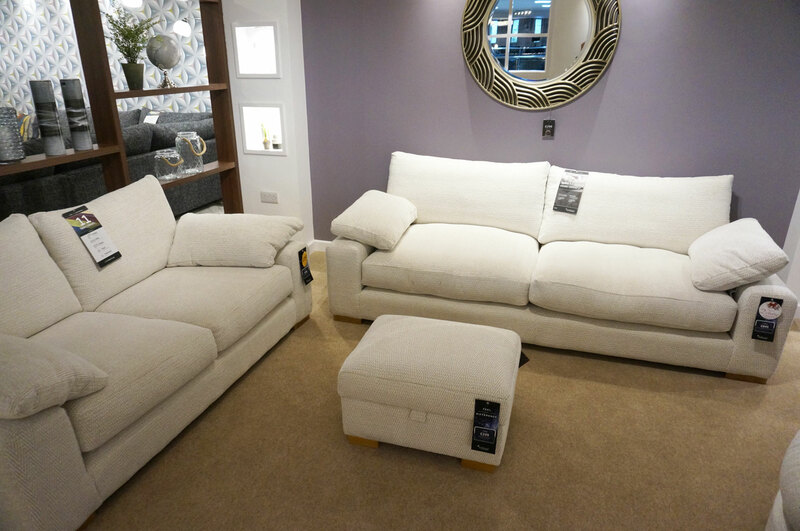 The sofas on display were a light cream colour, and they were just SO soft and comfy, as well as having really deep seats that you can sink into. Ollie and I both love to lay on our sofas to watch TV in the evenings, so these were the perfect choice for us. We chose this silver grey colour, called Medusa Silver, and I’m now waiting for confirmation of the delivery date, I’m so excited! When the sofas arrive, I’ll be sure to let you know, and when I get round to fully decorating the living room, I’ll also be blogging all about what I’m up to in terms of decoration and picking up new home accessories, so keep an eye out for these posts coming up very soon. 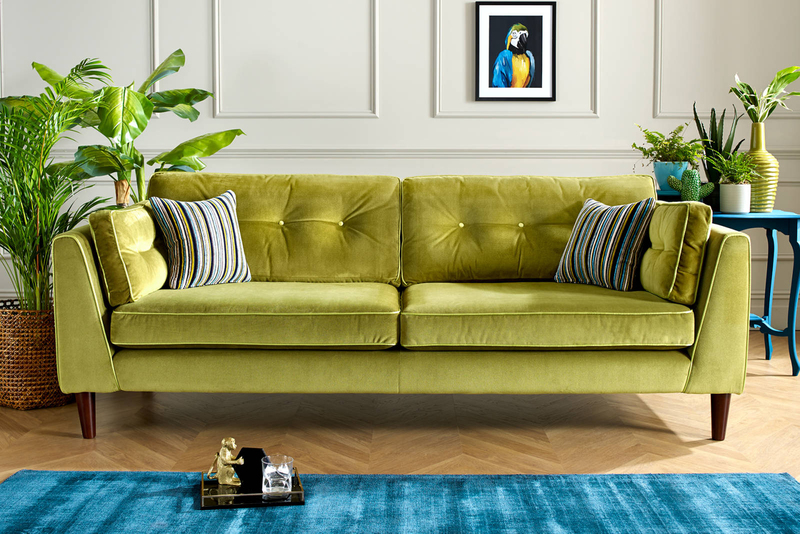 If you’re on the hunt for a new sofa, I highly recommend you check out Sofology’s extensive range online here. This post is in collaboration with Sofology. 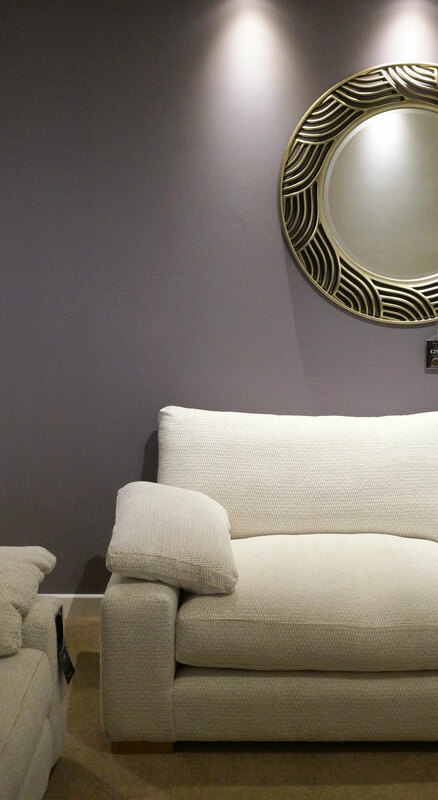 Pebble Grey £190 Light Up Mirror GIVEAWAY!